Helmholtz Centre for Environmental Research. There was a follow up conference to the OECD STIG project on February 11 and 12 this year in Paris. the example of Health research", was arranged by the German and British embassies in Paris in collaboration with the French organisation AVRIST (Association de valorisation des relations internationales scientifiques et technologiques). The agenda included many very interesting presentations from the border area between policy making and research, with a focus on international R&D collaboration in the area of health. 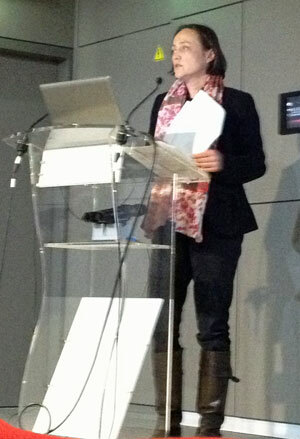 The participants were welcomed by Alice Dautry, Directrice générale of Institut Pasteur, who hosted the conference. Sir Peter Ricketts, British Ambassador to France and Susanne Wasum-Rainer, German Ambassador to France opened the event. I have included a few of the presentations below to give you an idea of the kind of topics and arguments the conference covered. All presentations can be found at the AVRIST site.